UCVR Eye is a unique camera that can take 180-degree* 3D panoramic photos and can also be folded in half to take “360-degree” panoramas. The manufacturer claims that the field of view is 120 x 180 per lens, but it seems that it wouldn’t be able to take a hemispherical 3D photo – more like 120 degrees. Thanks to Thomas Popovich for this correction. Video resolution: 4k @ 15fps or 1080p @ 30 fps. A seller explained to me that it can be folded in half, not just at a 90 degree angle. This seems to be supported by the drawing below. However, because the field of view of each lens is only 120 degrees, I’m confused about how the image would look if it were indeed folded this way. It would seem to be as though there would be a super wide stitch line in a fully spherical 360 photo. 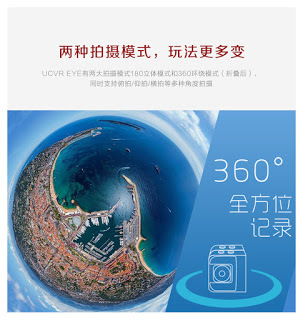 I’m not sure how they can claim it to be 360-degrees. The little planet photo above does not seem possible for this camera (I believe there would be a giant blind spot in the middle, and the sky would have more limited outer perimeter). 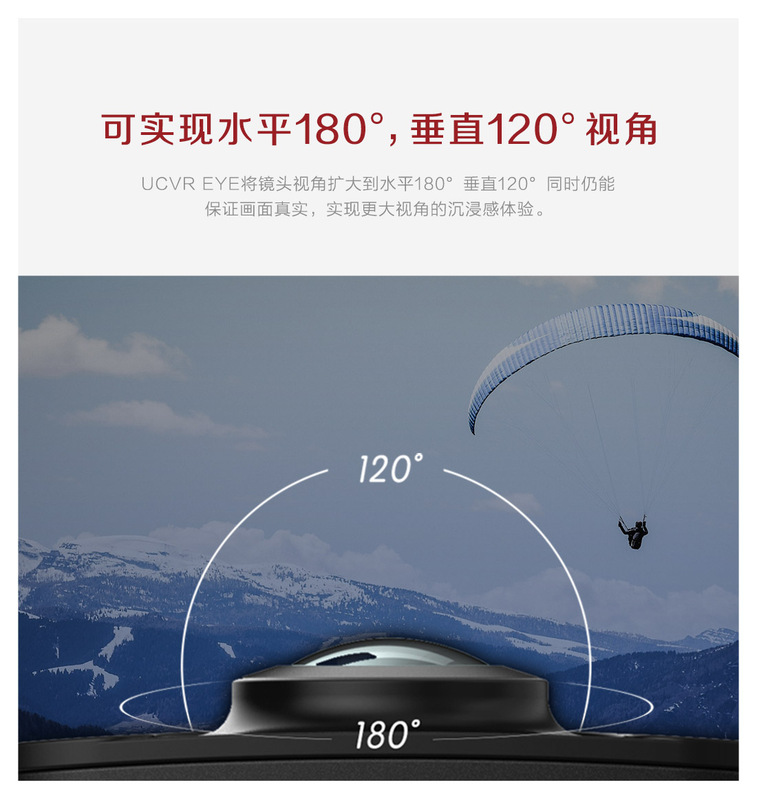 The UCVR Eye is available for purchase on eBay for around $250. Here is the official site. Thanks to @el dark for posting about this on 360camerasforums.com! Thanks Javier. 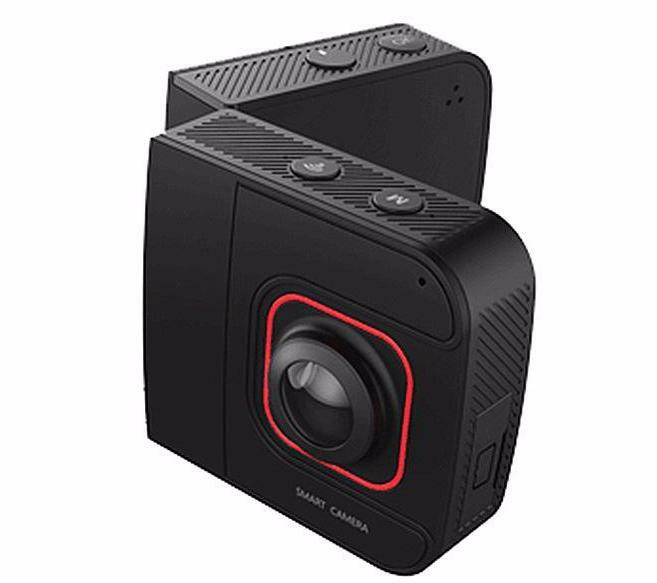 I don’t think this is the first 3D 360 camera but this looks interesting! I can post about it. Thanks for sharing! I have seen this solution before on another website. No doubt it’s a great solution for stills (not video) so long as nothing in the scene is moving. But it is not a true stereo 360 camera in that it cannot take instantaneous 360 3D shots. 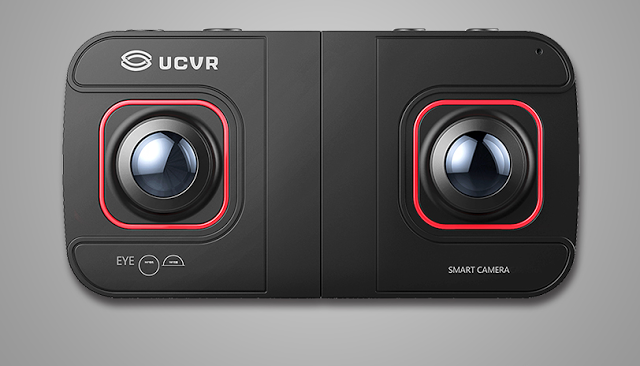 Although this camera has acceptable IQ, it suffers from bad video sync and low frame rate. Here is a clip made by a friend of mine who purchased it. Thank you very much Francois! Very helpful to know.